Hello lovelies and welcome to my first post of 2019!!! I hope everyone had an amazing holiday and new year. Honestly, it took me a while to really get back in the groove of things after spending some much needed time off with family and friends. But I’m back in action now and ready to tell you all about this very exciting project I’m launching for the whole year of 2019. This is something that has been on my mind a lot during the second half of 2018. I was swamped with freelance work yet I still found myself frantically finishing up personal sewing projects just because I had put them on the calendar at the beginning of the year. Then when I finished I wasn’t even taking the time to be excited about them before I was on to the next one. Not to mention I was buying up more fabric (albeit second hand) left and right. My heart wasn’t really in the projects I was making and I was kind of sewing on auto-pilot. Have you ever been there? 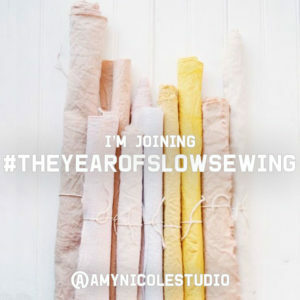 This got me thinking of how I could make some changes in 2019 and #theyearofslowsewing was born! Now before I go into details I want to note that the Year of Slow Sewing can be different for everyone. The guidelines I’m about to lay down have been self imposed based on my personal pressure points in my sewing practice. If you choose to join me (more on that later) your list may look completely different than mine! Only sewing fabric from the stash – this is the biggest one for me. My stash has gotten way out of hand and theres so much in there that I have projects in mind for that deserve to be sewn and worn! I also feel like this is a great way to challenge myself creatively if a new project comes up that I hadn’t planned for. I do have a couple exceptions to this main rule: First, this does not include samples for new patterns being released. I like the color story I use for my samples to be on brand and the fabrics need to be applicable to the garments as well as be the right length/width so I can’t limit myself to my stash for those makes. Second, I’m hoping to make a swimsuit this year and I don’t have any swimsuit fabric in my stash (though I do think I have some power mesh for lining). So in the event that I need swimsuit fabric I will do my best to source it sustainably. No Set Schedule/Sewing Goals – I think one of my problems has been that I plan my makes for each month at the beginning of the year then I feel all this internal pressure to stick to those plans (I’m an upholder if you couldn’t tell). So this year aside from my make nine – which will only be used as inspiration for things I’ve had on the brain – I will not be holding myself to any project schedule. I’m going to let the sewing gods speak to me as I go! Experiment with scraps – Aside from the teeny tiny unusable bits that come off my serger or other super small pieces I keep most of my scraps and my scrap bin is out of control. 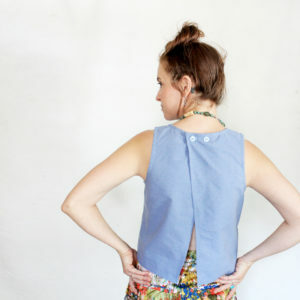 I have some ideas of fun ways to sew and manipulate my scraps and I can’t wait to test them out. Add intricate details – I want to take more time with the pieces I do make. Think about how I can add some hand embroidery (something I love but never do) or contrast facings or other unique detail to my garments. Often I get so caught up in just finishing the dang thing I forget to enjoy it and explore ways I can be more creative. Not limited to patterns in stash – I thought about also limiting myself to patterns in my stash but I don’t think this is something I’m ready for. 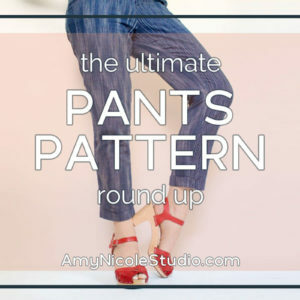 Part of my love for this community is the amazing selection of indie pattern designers we have to choose from and the fact that all their styles are different. I consider exploring that to be part of my job as one of those indie designers. If your pattern stash is out of control this may be something you want to implement if you choose to join in, but I’m one of those “don’t buy it till your ready to make it” kind of people when it comes to patterns so I’m not going to add that limitation to this project just yet. 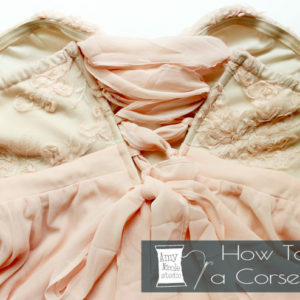 Ignore garment specific sewing challenges – You know the ones… “make this dress in April” or “make Pants in the fall”. Sewing challenges are fun, but its often easy to get caught up in the fomo and not stop to think about whether or not you actually want the garment in the challenge. Now, this doesn’t eliminate all sewing challenges (hello #memademay and #restylingexchange) but it will keep me from sporadically jumping on those garment specific ones. And thats it! 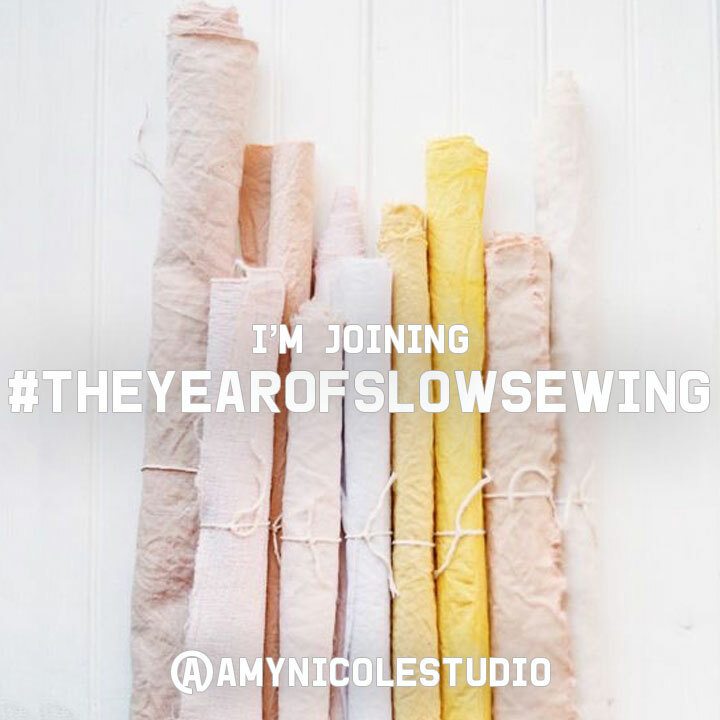 Six guidelines I’ve set for myself for #theyearofslowsewing. I’m super excited to use this opportunity to sew through my stash and really be more mindful about my makes. Now, I’d love for you to join me! I’m calling it a project not a challenge on purpose. There’s no right or wrong way to participate, you can make the project your own! Follow my guidelines or write brand new ones. As long as you stick to the heart of the project which is being more mindful and/or sustainable in your sewing practice. Make it your own! Sew exclusively from your stash, or maybe only use patterns you already have. Take this opportunity to start sourcing your fabrics second hand, or simply be more mindful to your needs when choosing your sewing projects… it is completely up to you! 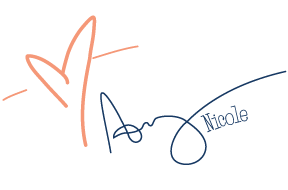 Subscribe to my newsletter if you aren’t already. 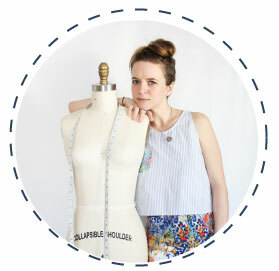 In each monthly newsletter I will be including a Slow Sewing Tip to help you on your slow sewing journey. Comment below if you love this idea and don’t forget to use the hashtag when sharing with your friends! I’m really excited to see how my personal sewing practice is challenged in 2019. I hope you will enjoy the ride. I’ve created this graphic to share on social media for all who want to join and spread the word! 1 – I must sew at least 2 fabrics from my stash before purchasing a new fabric. I’m not going to count fabrics that I receive as part of collaborations, but I plan to limit fabric purchases as much as I can! Just like you mentioned, I have a stash full of fabrics that I already have awesome plans for, do is like to focus on those! 2 – no make nine! I won’t plan any further out than the next month, and I will limit myself to 2 or 3 projects on my goal list each month. 3 – batch cutting! Once I pick my projects for the upcoming month or 2, I’ll pull the fabrics and cut them out right away. It is much more difficult to get distracted by a new pattern or project when the ones I already planned are cut and ready to go! This will also mean I should pretty much always have a project ready to sew when I have a few odd minutes in the sewing room here and there! Yes!!! Batch cuttings always a good idea! Oh yes. I had the same kind of thing happen to me at the end of last year. I was no longer deriving joy from my sewing, so I just stopped. I’m also a #sewmystyle2019 leader, so I don’t get to opt out of certain “make this pattern this month” challenges, but I am definitely being more intentional with what I make THIS year. I’m going for more utilitarian sewing now. What do I need? Currently, the answer to that is curtains in my sewing studio. So that’s where my efforts will lie this year. I’m also going to add this to my list of 2019 Maker Challenges. Best of luck to everyone who participates! Thanks so much Paulette! I definitely understand the struggle of running something big like the #sewmystyle2019 challenge! Best of luck with your focus on utilitarian sewing. And thanks so much for adding me to your list!! I’m so excited for this project! I was just thinking how I need to slow done and really uate what I need and appreciate the fabric in my stash. Yes!! Its all about appreciating what we have! I absolutely love this idea and had set out to do pretty much the same thing before coming across your post! Yay to more sustainably minded sewing! Awesome Brittani! I love your work.. cant wait to see what the year brings for you! Love this! I don’t have lots of sewing time but I would like to focus on appreciating and sewing from my stash this year. So many beautiful fabrics to sew. I’m also trying to do more repairs and repurposing/recycling this year in an effort to reduce waste. That’s perfect! I feel like if you dont have a ton of sewing time this is a great project to jump on board with. So true! I feel like it takes the pressure off to be churning out new projects every week. I’m SO on board with putting a dent in my stash! I’ve been determined for the last year and a half not to buy my 2 girls any clothes, and repurposing is wonderful for kid clothes. So of course family and friends have been sending over LOADS of clothes they have purged from their closets, and I’ve completely run out of space to store it all! And of course there’s the floor to ceiling shelves my husband built to hold bolted fabric that I’ve over filled…. so yeah, I’m determined to use what I already have this year and acquire less! Thats awesome, welcome on board! … and what a great husband! !